One teacher’s thoughts on the idea of arming teachers | I am the Lizard Queen! A few years ago I attended a conference at which there was a session on workplace safety. the facilitator began the session by playing, without any warning or other preamble, a recording of the 911 call from Columbine. I was horrified, first on a purely visceral level, then by the idea that the facilitator saw that as an appropriate way to open a conference session, and finally by one of the conclusions that the facilitator drew from the events that the 911 call heralded: that if the teachers and other administrators at the high school had been carrying firearms, much of the tragedy of that day could have been avoided. I imagined myself at the front of a classroom, in the midst of a discussion on audience or run-on sentences. I tried to imagine the rest of the scenario: a shooter, my response, crossfire. I could splice in scenes from action movies, but putting myself into the scene was a struggle, to say the least. I’ve touched a gun, once. A Second-Amendment-hippie acquaintance of mine made sure of that a few years ago. But insofar as actually handling a gun goes, I only know what I’ve seen in movies, which is pretty poor preparation for a worst-case-scenario plan. 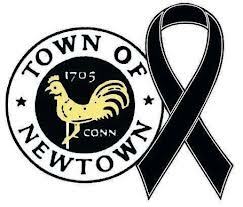 The idea that teachers should be armed is being floated again in response to last Friday’s tragic shooting at Sandy Hook Elementary School, in Newtown, CT, and I’m just as perplexed now as I was at that conference. My training is in writing and literature, and in teaching those two subjects at the college level. I have absolutely no training in the use of firearms. Had I desired such training, had I believed I had the inclination and the aptitude for such things, I might have been drawn to fields other than writing, fields like law enforcement or other branches of criminal justice, or the military. I can’t imagine I’d be particularly well-suited for such fields, however. I’m pretty good at thinking on my feet, and I like to think I handle myself well in emergency situations, but I’m also completely neurotic, a consummate crier, and easily startled. These are not ideal qualities in a first responder. I understand the need and desire to be prepared for the worst. However, where does such preparation stop? If students would be safer if their teachers were armed, then surely they would be safer still in bullet-proof vests, right? At what stage does such preparation represent “the abandonment of civil society”? If we must be armed to teach, to worship, to go to the movies, does that really represent a victory for the rights of the populace? Is that the price we pay to live in this society, or a sign that we have failed? I don’t have any solutions to the problems that each mass shooting presents. However, I feel fairly confident that “more guns” isn’t a solution, either.